The word of the year has definitely been cannabis. The recent legalization of recreational marijuana has gone some way in de-stigmatizing the drug – and has had an unprecedented impact on employee benefits plans. Aurora Cannabis, the Canadian medical marijuana producer and distributor, will offer a new employee benefits plan that will include coverage for medical cannabis authorized by a physician or nurse practitioner. The new package, administered by Sun Life Financial, allows staff and any familial dependents to have access to medical cannabis. "The speed with which Canada's largest insurers are moving to cover the costs of medical cannabis reflects the increasing recognition of cannabis-based therapies and marks a significant milestone for patients across the country, said Debra Wilson, senior VP of Human Resources. "Including medical cannabis in the Company's benefits plan reflects our position as one of the leading advocates for the availability of medical cannabis, as well as employee health and wellness being major pillars in Aurora's mission to be the employer of choice in the sector." 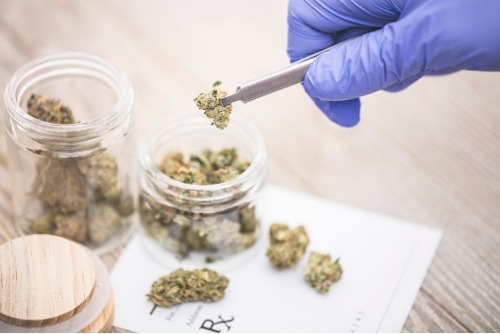 With all these new pot-based benefits, it’s time to start questioning whether your organization is ready for medical marijuana’s impact your workforce. “Employers in industries which deal with safety sensitive work, for example construction where employees are working with machinery, are concerned over the legalization and what that means in terms of tolerance,” explained Peter Straszynski, Torkin Manes LLP.